Vitamin C, Phytonutrients, and Antioxidants, oh my! Pears are a good source of vitamin C. Each medium-sized pear contains approximately 7 mg, which is 10% of the daily value. Pears also naturally contain phytonutrients and other antioxidants, a variety of which are found in the vibrantly colored skins of the different pear varieties. Choose a mix of colors for an added benefit. Generally, fruits and vegetables are naturally occurring sources of antioxidants, and vitamin C is a very well-known antioxidant. In fact, vitamin C is often called “The Antioxidant Vitamin.” Aside from preventing oxidative damage, vitamin C is essential for cell growth and repair. It is needed for normal metabolism and tissue repair, proper immune functioning and protection against infectious diseases, and vitamin C promotes healing of cuts, wounds, and bruises. Including a variety of vitamin C sources in the diet is essential for good health. 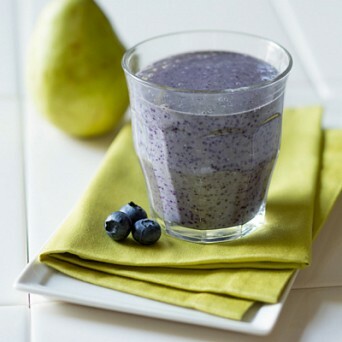 Fight off a nasty winter cold with an early morning Pear Oatmeal and Blueberry Breakfast Smoothie. It’s packed with vitamin C to speed recovery.